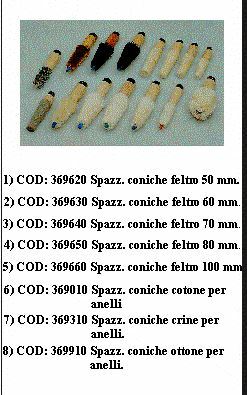 Spazzole coniche. Felt tapered brushes for rings. Home » Consumables » SMALL FINISHING MACHINES AND CONSUMABLES » ABRASIVES AND BRUSHES FOR PRECIOUS METALS FINISHING » Felt tapered brushes for rings.